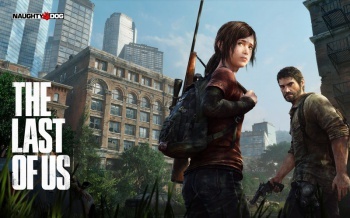 Naughty Dog: The Last of Us Will Aim to "Raise the Bar"
According to its creative director, The Last of Us is out to change how the games industry tells stories. A few select titles spring to mind when someone asks you to describe a game which tells a truly affecting story and does it well. However, in the mind of The Last of Us creative director Neil Druckmann, we should be asking for a little more than that. Things have to change, he says, and his studio is the one to spearhead the effort. Speaking to Eurogamer, Druckmann revealed how he hopes The Last of Us will "change" the industry's approach to storytelling. "As critics we need to raise the bar, otherwise no-one's going to change," he said. "We're going to keep pushing ourselves, and kill ourselves to make this story happen - but hope that by doing it, the rest of the industry is going to take notice and try to do the same thing." When asked about what kind of story The Last of Us is going to tell, Druckmann gave a semi-surprising answer. "This is going to sound corny, and it might not appeal to gamers, but I would say it's a love story," he revealed. "It's not a romantic love story, it's a love story about a father-daughter-like relationship...It tells you something about the human condition - that's what you want to do as a storyteller." "We're not saying every game needs a strong, compelling and dramatic story, but if you are going to make a narrative-based game then you better learn the craft," Druckmann added. Revealed at the VGAs over the weekend, The Last of Us tells the story of teenage Ellie (who does not, appearances to the contrary, have anything to do with Ellen Page) and gruff Joel as they journey across the remains of an America ravaged by something which would seem to be a human variant of cordyceps (caution: that link leads to an excerpt from Planet Earth which describes cordyceps, a few seconds of which was posted on The Last of Us website. It's utterly, utterly horrifying. Here's some baby polar bears to make you feel better. Everything's alright! Look at their silly little ears!). Though all we've seen of the game so far has involved establishing the characters' lives as humans-on-the-run, the interaction between the two main characters does seem solid. It's impossible to tell whether this will translate to the full game, of course, and to know if Druckmann's enthusiasm has made it all the way over to the gameplay side of things. Still, it's good to know Naughty Dog are cognisant of the role storytelling could have in what looks to be a very dramatic game indeed. No release date for The Last of Us has been announced, but expect details to begin unfurling like the most terrifying of killer mushrooms in the near future.